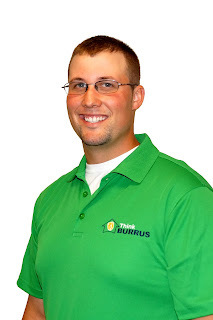 Joining the Burrus team this year is Ted Ballard. Ted is an Account Manager covering Morgan and Scott counties and is extremely excited to provide the quality of service each farmer expects and deserves. Ted grew up on a family farm around Carrollton, Illinois where he has been involved in row crop and hay production as well as the livestock industry. Ted is a diehard St. Louis Cardinals, Blues, and Notre Dame football fan. He loves to travel and loves the outdoors. In his spare time, he can be found kayaking, fishing, hunting and hiking. He is a graduate of Southern Illinois University Carbondale where he obtained both his Bachelor and Master of Science Degrees in Plant, Soil and Agriculture Systems. While at SIU, Ted was a full-time staff member at the University Farms where he served as Senior Agricultural Research Technician and managed the Colleges Agronomy Research Center. Here, he worked alongside several different research teams and countless small plot research studies. Ted has a sincere desire to work with growers and help them be successful. He understands the hard work, dedication and commitment that is required to ensure your farm’s success and wants to be on your team. You can reach Ted at (618)-946-0050 and let him help you continue to grow your legacy by planting Burrus in your fields. How high can Hoblit 384LL yields go?